Nigeria has 155,000 doctors deficit, with a ratio of 1:1,000. Nigeria's health sector has a lot of issues bedevilling it and one of them is the uneven distribution of doctors to the growing population. Can you imagine one doctor attending to 1,000 persons? Such a high number, but in Nigeria that is even a small figure. To achieve that ratio of 1:1,000 (one doctor to 1,000 persons) Nigeria will need to add 155,000 doctors to the current number of doctors it has. Until this is achieved, the dream of a meaningful Universal Health Coverage (UHC), may be a mirage. The Provost of the College of Medicine and Health Sciences, Federal University Dutse, Professor Usman Ahmed, gave this analysis. According to the World Health Organisation (WHO), Universal Health Coverage aims to ensure that all people have access to the needed services of sufficient quality without exposing persons (recipients) to financial hardship. Ahmed, who is also a Professor of Health Sciences, University of Manchester, UK, told the News Agency of Nigeria on Tuesday in Abuja that data from the Federal Ministry of Health showed that Nigeria had 45,000 doctors registered and practising in Nigeria with a ratio of one doctor to 4,008 people. "Even if we take it as one doctor to 4,000 people and we want have UHC, meaning a minimum of one doctor to 1,000 people, we will need to have at least 200,000 doctors in Nigeria today. "Which means to add to the 45,000 doctors currently registered and practising in the country, we will need about 155,000 doctors today. "It also means that we will need nearly a million nurses because for each doctor we need several other nurses, physiotherapists, occupational therapists, audiologists etc. and we don’t have them complete in Nigeria," he said. He said Nigeria should realise that WHO recommended one doctor in 600 people in Nigeria, adding that “if we use WHO’s recommendation, we may need more than 155,000 doctors today". The don recommended one doctor to 1,000 people to replicate a model used in India which has 840,000 doctors in a ratio of one doctor to 1,800 people. Contrary to this analysis is the statement of the Minister of Health, Professor Isaac Adewole, during the 38th Annual General Meeting and Scientific Conference of the National Association of Resident Doctors of Nigeria (NARD) at Ibadan, Oyo state. He had said there was “no serious shortage” of doctors in Nigeria. 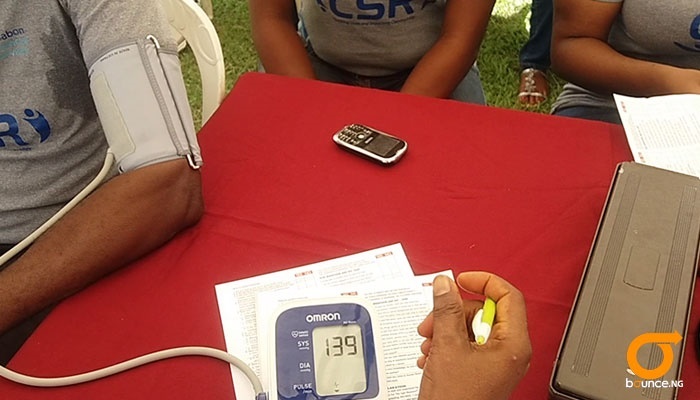 “The data obtained from the Medical and Dental Council of Nigeria shows that as of May 30, only 45,000 are currently practising and that gives us a ratio one doctor to 4,088 persons,” he said. Adewole noted that what was perceived as a shortage of doctors was actually the uneven distribution of practising doctors within the country. Meanwhile, while this problem of uneven ratio persists, the nation has continued to experience the exodus of doctors to foreign nations.